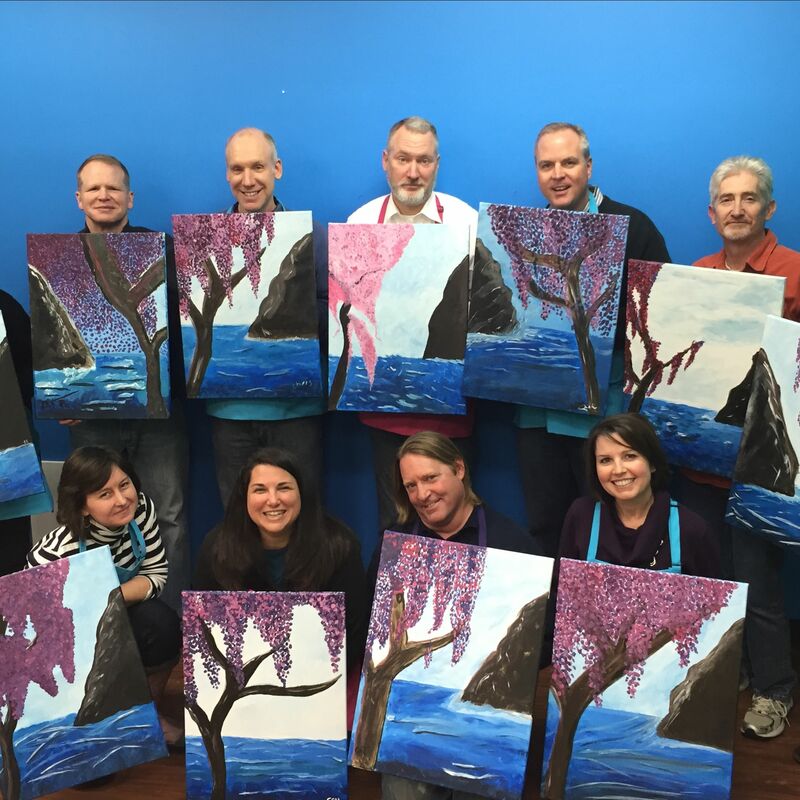 Creative Canvas provides a fun, friendly environment for you to flex your artistic muscles! We have classes for adults, children, families and couples. 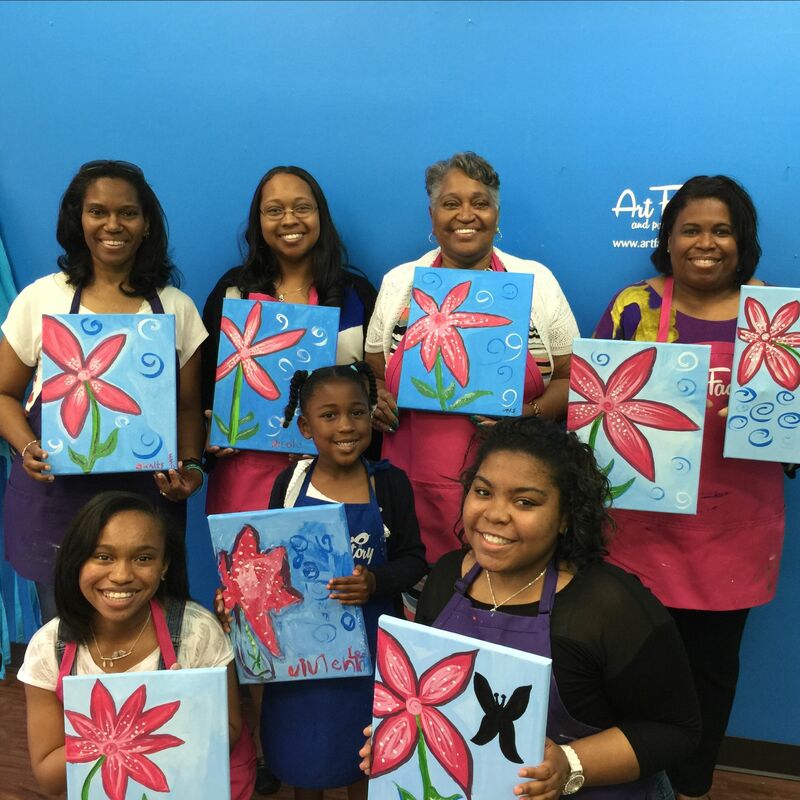 Our instructor will guide you through the featured painting giving you time to enjoy your friends’ company, meet new people and have a good time. There is no right or wrong in this class – join us for an experience and amaze yourself with your creative abilities. You don’t have to be Van Gogh or Picasso to enjoy this experience. Check out our events page and and choose a date and a project that works best for you. Arrive 10mins early, ready to paint and have a good time. We will provide all the supplies you will need to create your work of art. 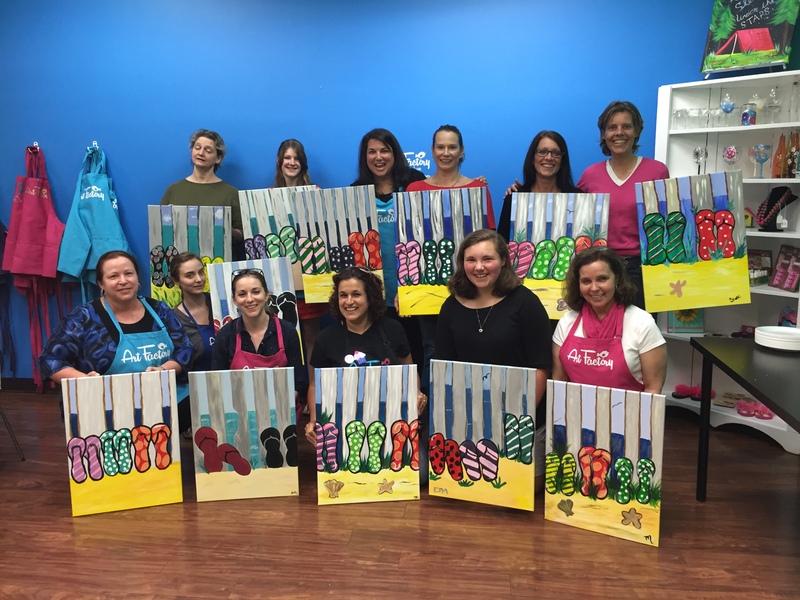 What is a Creative Canvas class like? Dance to the music, meet the person sitting next to you and depending on the session- enjoy an adult beverage. Our instructor will guide you through replicating the featured painting step by step. Whether you are a beginner or an advanced artist, you are sure to go home with a painting that is uniquely yours. By the end of the evening you will be amazed at what you have created! Classes will begin on time but we suggest arriving 10 minutes early to check in and get the seat of your choice. Adult classes are 2 hours, kid/family classes are 1 hour. Are children allowed in a Creative Canvas class? Due to the level of difficulty or type of event, we offer many different sessions- teens, adults only, just for kids or fun for the whole family! Check our events page for age appropriate classes. Do I need to sign up in advance? Seating is limited therefore we highly recommend registering in advance. The easiest way is to register online, there you will be able to view the featured painting for each class. If a class is sold out, please give us a call to be put on our waiting list. What do I wear? We provide aprons, but we recommend wearing something you wouldn’t mind getting paint on. Remember - we are using acrylic paints so you may want to leave your nice items, shoes or purses at home! The Art Factory and Party Place cannot be responsible for any paint damage. If I come with a friend or a group, can we all sit together? We encourage you to arrive 10 minutes early to select a seat. If you are coming with a group of 5 or more, let us know in advance and we will try to make arrangements. Can I tip the Instructor? Tips are greatly appreciated. Can I bring in an adult beverage? You are welcome to bring in a non-alcoholic beverage with you. Two complimentary glasses of wine or one beer/cider will be available for those that are 21+ (Valid ID required) during adult only classes. Can I change the style of the featured painting? Of course! Our guests are welcome to add their personal touch to their painting. Our instructors will be there to answer any questions and provide advice. I missed a painting that I really want to paint! How often will you repeat paintings? Please let us know! We will keep this in mind when scheduling upcoming calendars! We also have started offering Select Your Own canvas night where you can pick any one of our paintings. Check out our events page for upcoming select your own night! 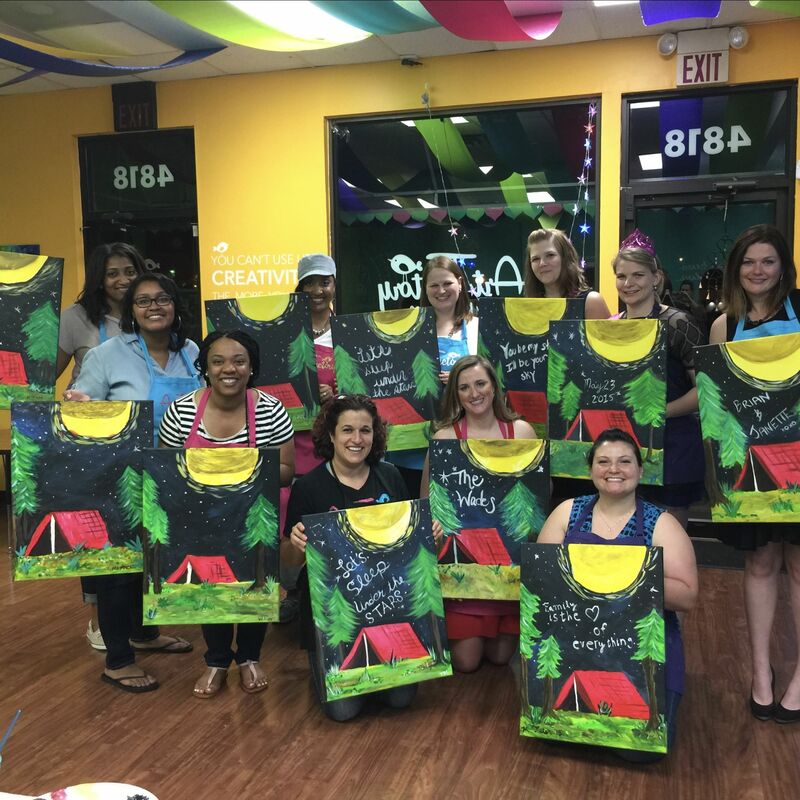 Can we host a private Creative Canvas party? Yes! Please give us a call with a date or two already in mind. You can choose from one of our previous paintings or send us a theme/idea you have in mind. There is an 8 person minimum for private events. Can I schedule a party at my location? Absolutely! We’d be happy to bring Creative Canvas to you! Please give us a call with a date or two already in mind. A travel fee may apply. There is an 8 person minimum for private events. What is your cancellation policy? We have a 24-hour cancellation policy for classes if you need to cancel. Cancellations should be made over the phone. 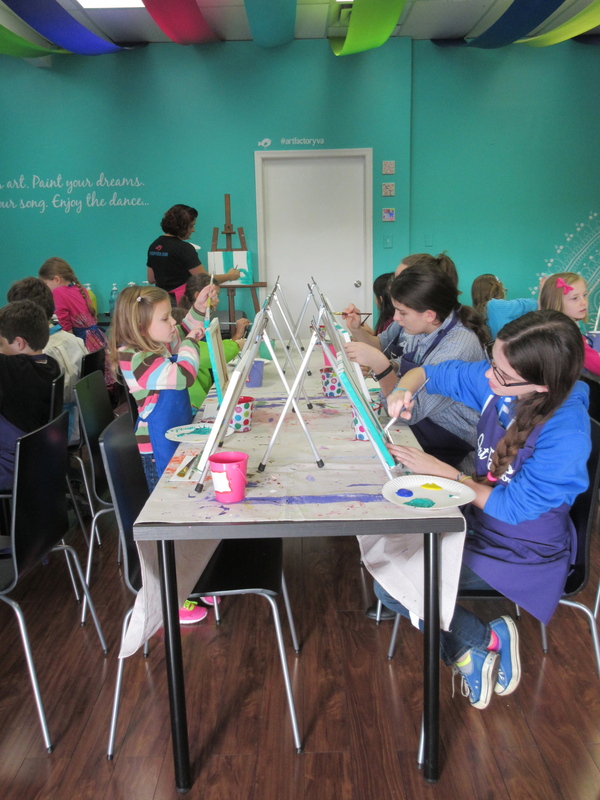 Note: The Art Factory and Party Place reserves the right to cancel a painting session at any time due to class size, weather, sickness, etc. If we feel we need to cancel a painting session, every attempt will be made to notify those that have signed up for the session. If you paid online, you will be given the option of rescheduling your session or a refund will be made.